What better way to kick off your study of the New Testament than with a New Years Eve party? 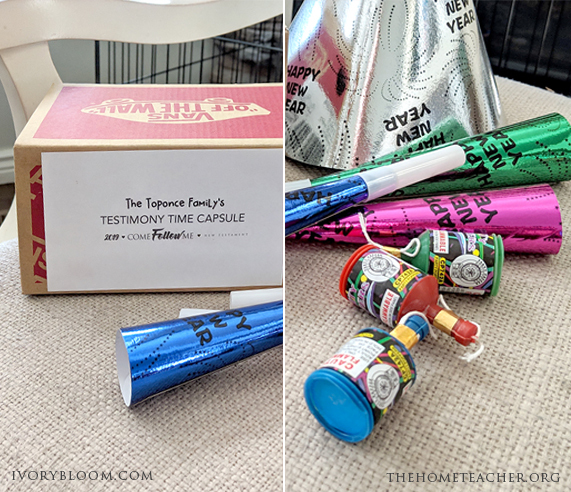 New Years Eve just happens to fall on Monday, so it makes a perfect family night activity. Just tweak your festivities a bit to include the New Testament and you are ready to go! 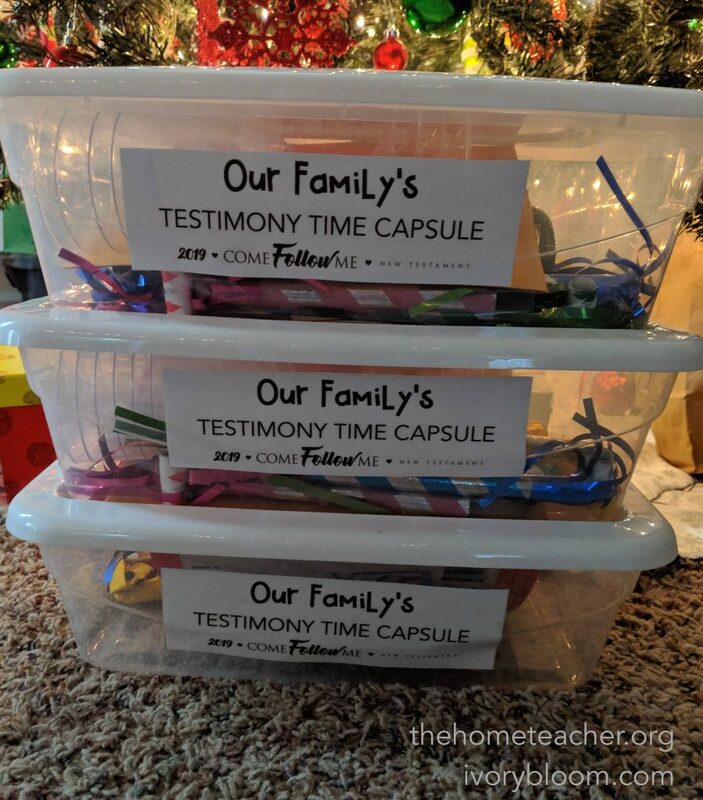 Our favorite idea is to create a Testimony Time Capsule with your family. 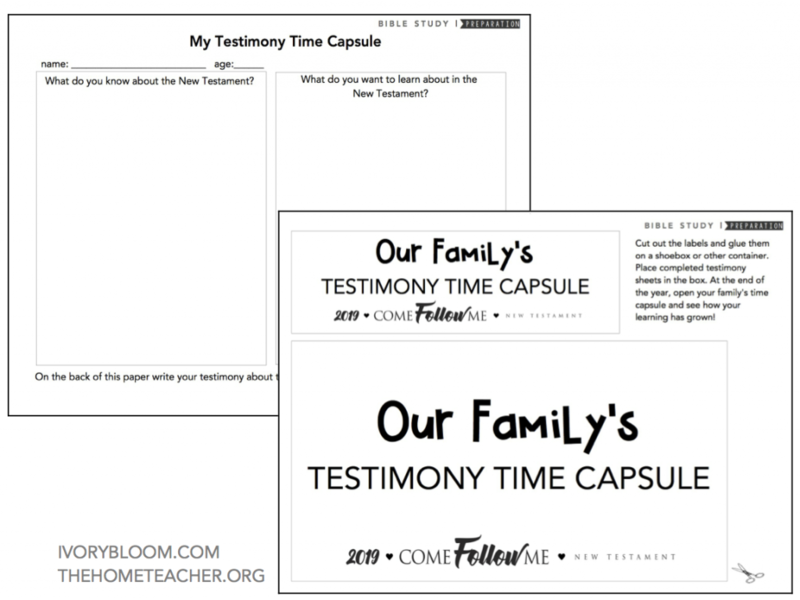 Have each member of your family write their testimony and/or their prior knowledge of the New Testament on a piece of paper. You can also have them write questions of things they want to learn about in the New Testament. 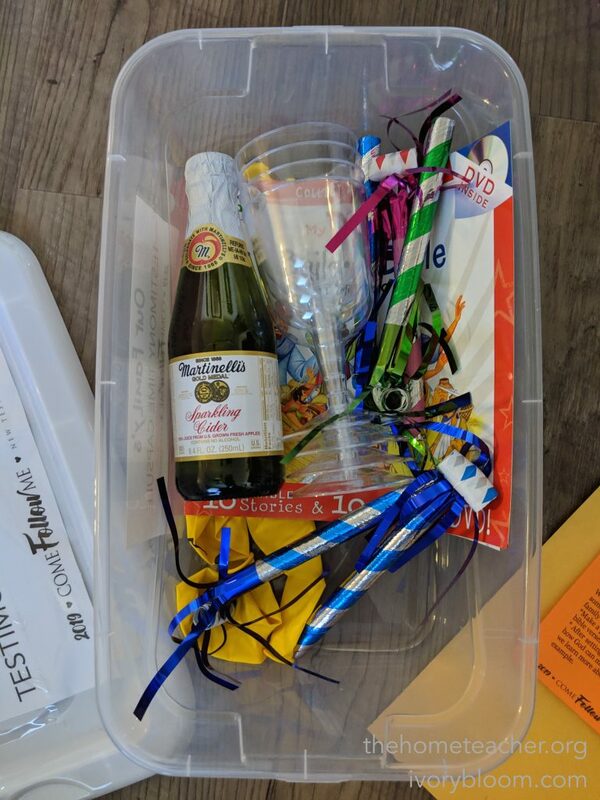 Place the papers in a container- I used a shoebox we had laying around- and hide it away until the end of the year. 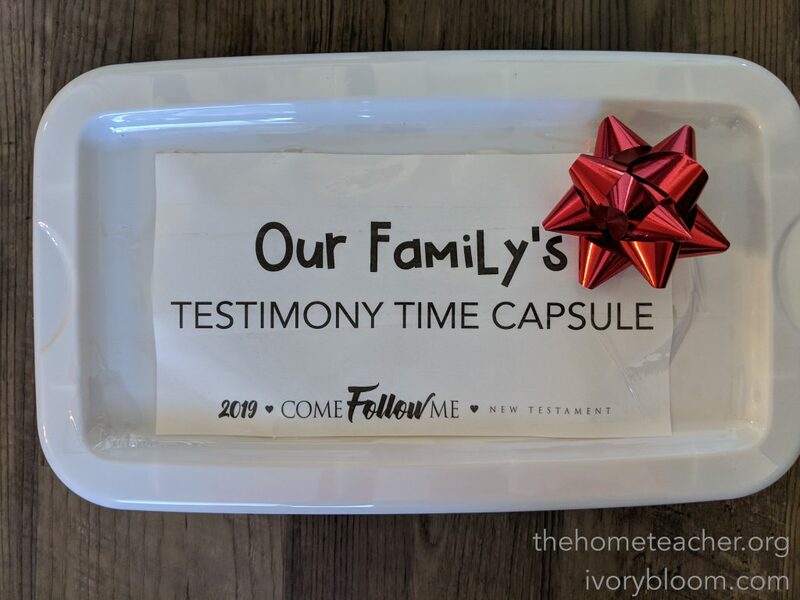 At the end of the year have your family members rewrite their testimonies and/or what they now know about the New Testament. 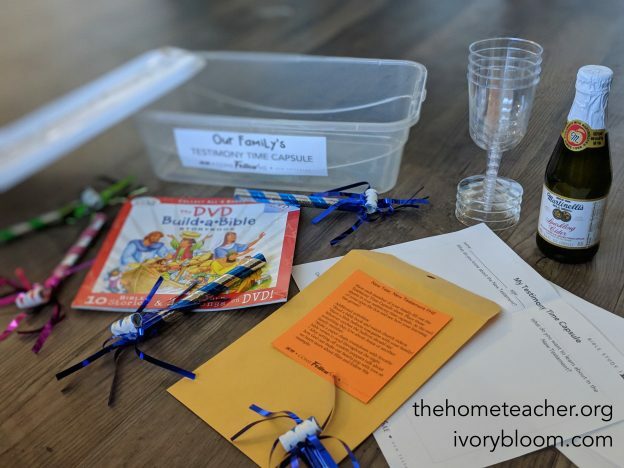 Pull out the time capsule and see how their learning has grown! Click on the image below to download the free printable! If you are crazy like us and *try* and stay up until midnight, add in some fun bible activities throughout the night. Make a paper chain countdown with favorite bible verses to read throughout the night. Put together a puzzle of the Savior. Watch little clips of bible videos while snacking on treats. 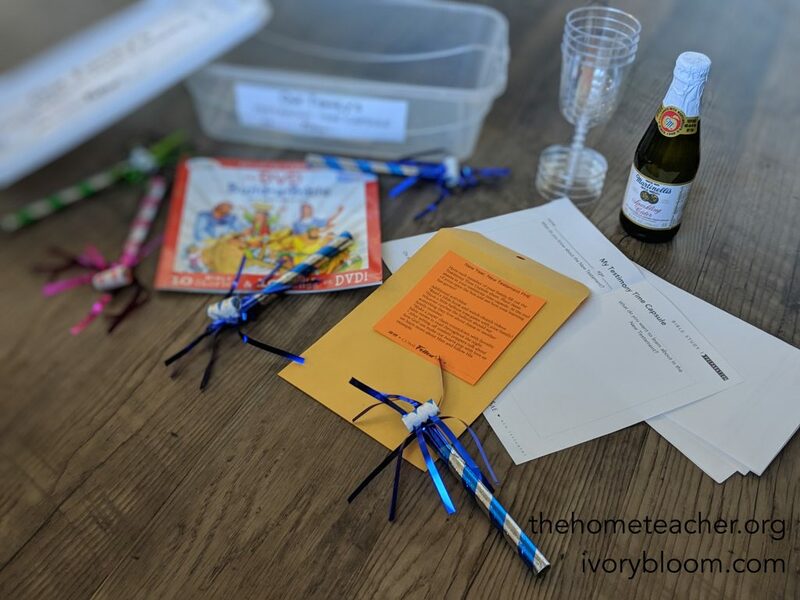 Wear party hats while reading stories from the New Testament. After setting off confetti poppers talk about how God can make our hearts pop with love as we learn more about Him and follow His example. 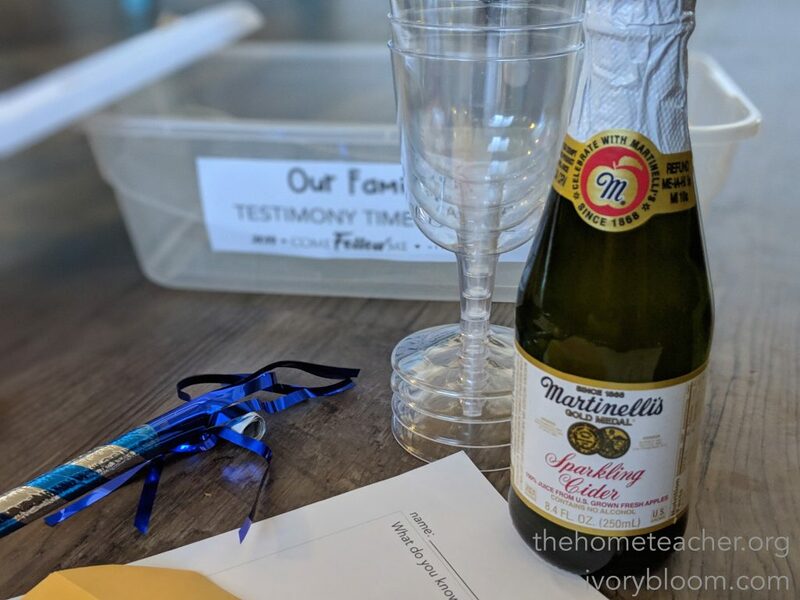 Happy TEACHing and celebrating the bible! 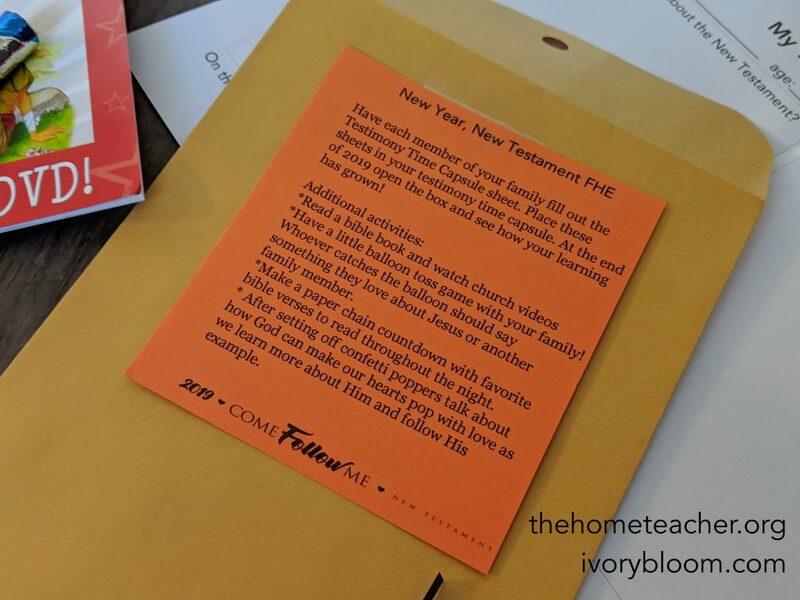 This entry was posted in church, come follow me, faith & family, fhe, lds and tagged bible, come follow me, family, learningtime, new testament, new years, teaching tools on November 30, 2018 by ktoponce.